Maria Hadfield was born on 11 June 1760 in Leghorn, where her father, an Englishman, acquired a fortune as an innkeeper (his three inns in Tuscany were frequented by noblemen taking the Grand Tour). Her mother was Italian. 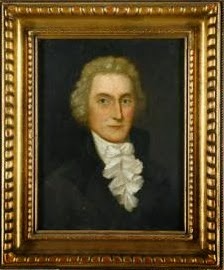 The Cosways had eight children, but only four survived childhood. The other four were killed by an insane nursemaid, who was finally caught when she was overheard talking about her plans to kill Maria too! She was sentenced to life imprisonment. Maria was educated in a convent, but, showing an unusual artistic talent from an early age, she was sent to Rome to study painting. 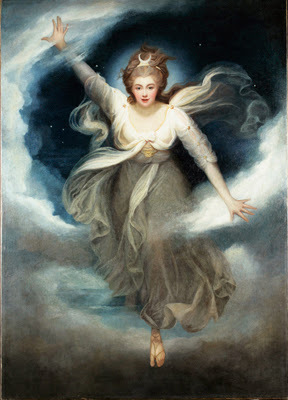 There, she became friends with the likes of Fuseli and Battoni. Maria, though, always remained a fervent Catholic. She had liked the convent life and, after her father’s death, had hoped to become a nun. But her mother persuaded her to go to London to pursue her painting instead. Here, Angelica Kauffamn, a famous artist and a member of the Royal Academy of Arts in London, helped her to participate in the exhibitions where her works, depicting mythological scenes, were very admired. 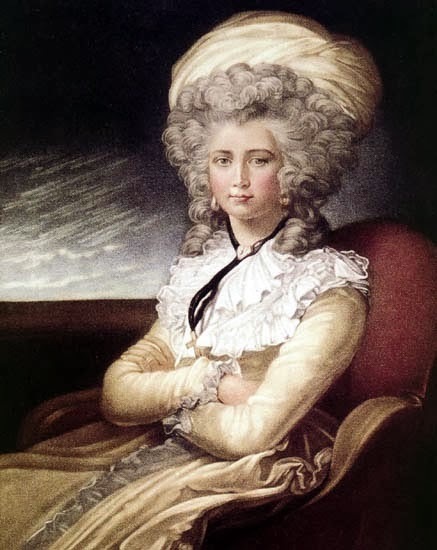 Maria was a beautiful woman and soon attracted the attention of Richard Cosway, a famous painter of miniatures in watercolors who had a good fortune and frequented the fashionable circles of London. He was also 20 years her senior and a libertine. Nevertheless, the two got married. After their marriage, Maria lived for a while in seclusion because her husband didn’t think her Italian manners were refined enough to impress fashionable society. Once he thought she had acquired the necessary grace and polite manners, he allowed her to make her debut. It was a success. Beautiful, graceful, musically and artistically talented, Maria was greatly admired by the most famous and wealthiest people of her age, many of which commissioned her to paint their portraits. 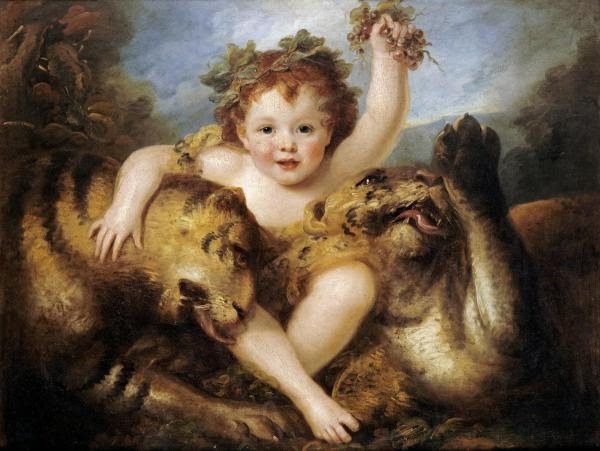 Even Georgiana, Duchess of Devonshire, set for the painter. However, Maria’s husband didn’t allow her to be paid for her work. As a result, her sitters gave her expensive presents instead. 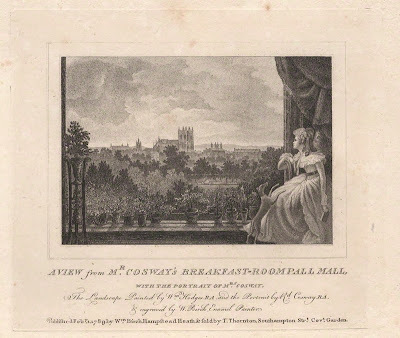 The couple also had to move to a bigger house in Pall Mall, where they established a salon attended by the most eminent poets, nobles and diplomats of their time. Their house was the place to be and, soon, Maria became known as “The Goddess of Pall-Mall”. In 1786, Maria and Richard went to Paris, where they were introduced to Thomas Jefferson, the American Envoy to the Court of Versailles. 47 years old and recently widowed, he instantly fell in love with the 27 year old Maria. The two both loved art and architecture and attended many exhibitions together. After six weeks, though, Richard got tired of this, and sent Maria back to London. This was a hard blow to Jefferson, who wrote Maria a 4000-word love letter known as “The Dialogue of the Head vs. the Heart”. The two started a correspondence that lasted to the end of Jefferson’s life. But nothing more happened between them. Maria was a strict Catholic and her faith prevented her from having affairs. Maria and Richard had one daughter, Louisa Paolina Angelica. However, he was constantly unfaithful to her and, eventually, the couple separated. Maria then travelled to the continent. She went to Lyon, and then made a pilgrimage to the shrine of the Virgin Mary at Loreto to fulfill a vow she had made after giving birth to a living child. Unfortunately, however, her daughter died aged about 10 while Maria was in France. She was devastated. Maria then hit the road again, travelling to Lodi, where she founded the Collagio Delle Grazie, a Catholic convent and girls’ school. Maria directed it until her death. 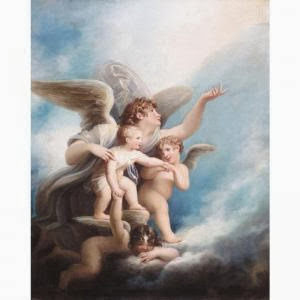 In 1821, the artist briefly returned to England to take care of her ailing husband. After his death, she auctioned off his large art collection and used the funds to support her convent school. She then moved permanently to Lody, but continued paintings and exhibiting her pictures at the Royal Academy. 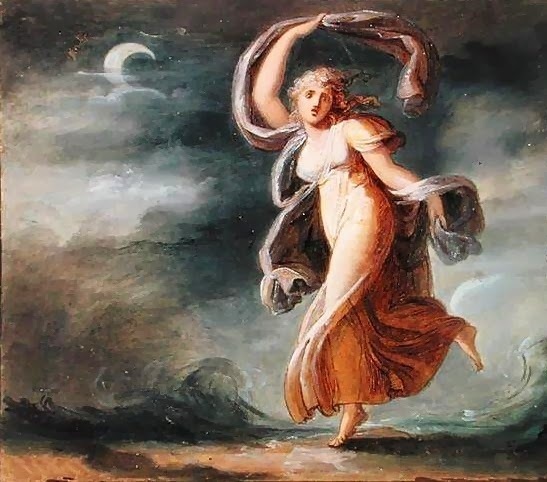 She made illustrations for the works of several poets, including Virgil and Homer, and painted portraits of famous ladies such as Madame Recamiere and Madame Vigee Le Brun. Because of her work at the school, the Austrian Emperor Franz I awarded her the rank of Baroness. 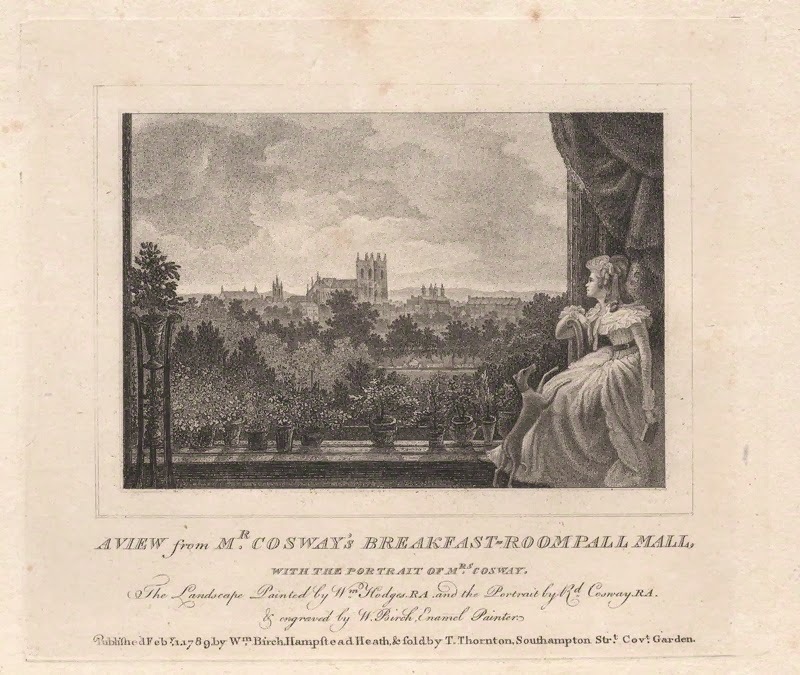 Maria Cosway died in Lodi, at her school, on 5 January 1838.